NYC, 02/12/2019, 7:00PM. Nigeria: A Failed State?. 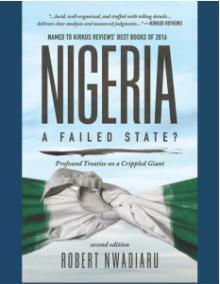 Author Reading | Nigeria: A Failed State? Nigeria the most populous country in Africa and the centrifugal point of African politics is endemically infected by incompetence and corruption. The malaise ranges from mismanagement of mineral resources to insecurity and tribal dichotomy. The country is gliding to a failed state and the world knows little about it. Come and hear the true story from the author Robert Nwadiaru.